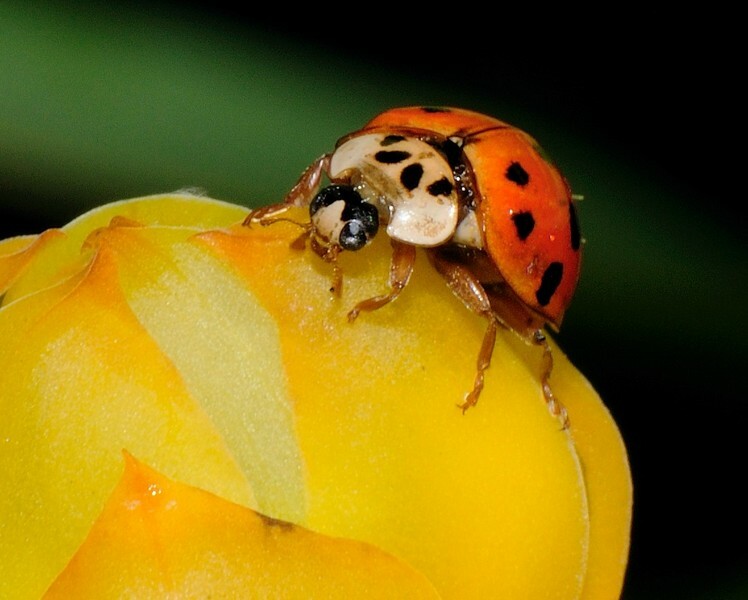 Ladybugs are small and benign. 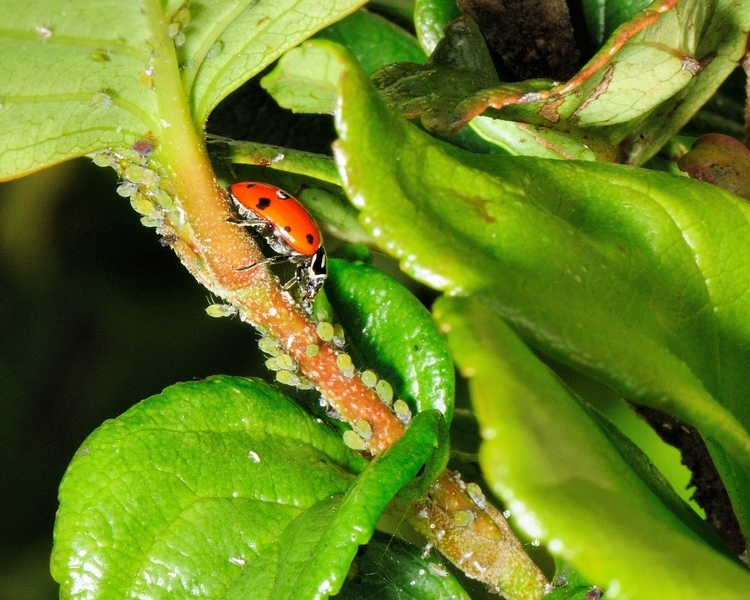 In fact, they are downright helpful to gardeners because they eat aphids and other sapsucking parasites. There are over 5000 species of them all around the world. 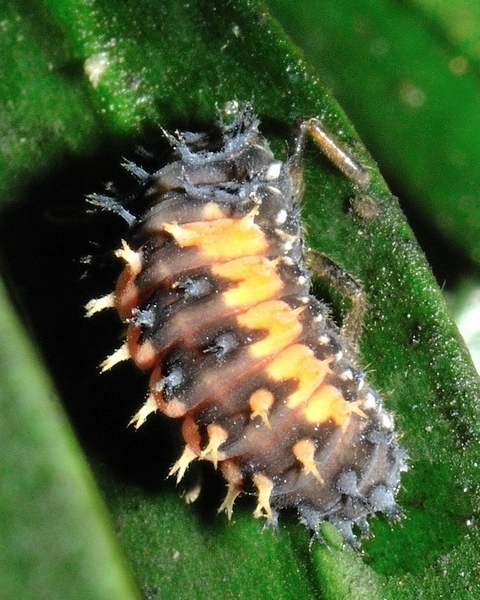 But, they aren’t always the cute little orange button beetle we usally see. 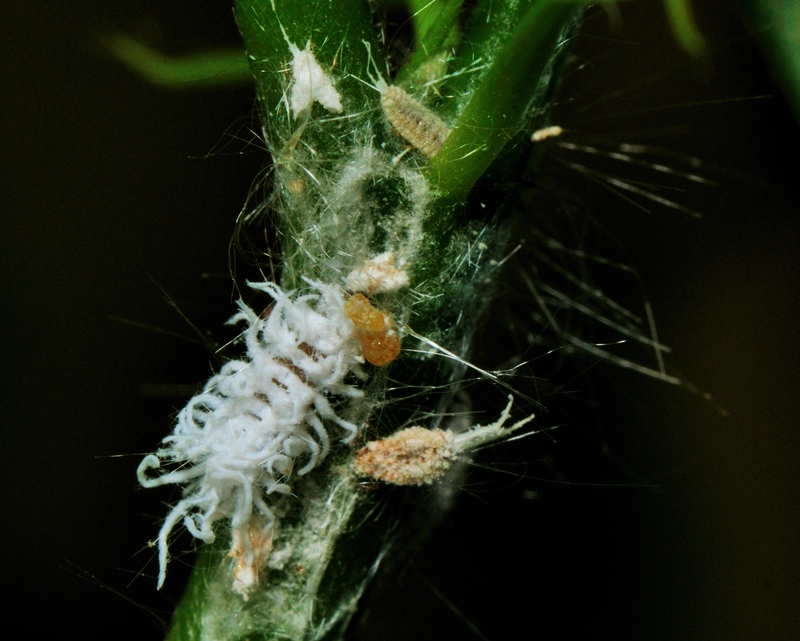 In fact as a larvae they look a little bit monstrous. 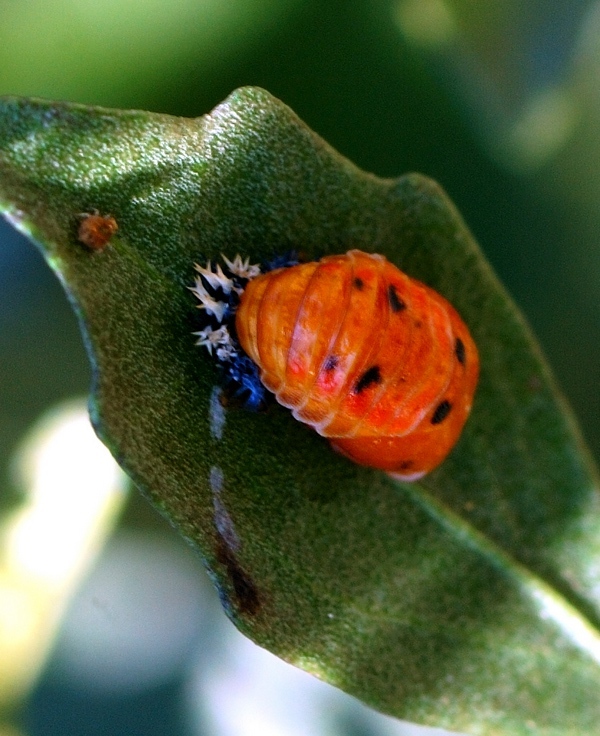 The larvae developmental stages are called instars and you can see the development of a adult ladybug in the pictures above. Each time they molt, they get a little bigger and a little oranger until the final molt. 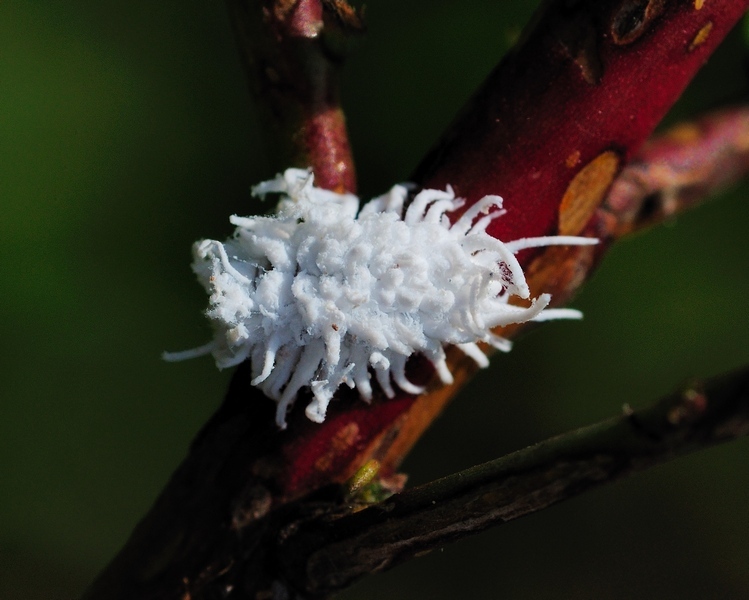 This is the larva of another similar bug called the Mealybug Destroyer – Cryptolaemus montrouzieri. When it reaches it’s final molt it becomes a very small non-descript brown beetle about 1/3 the size of a ladybug. 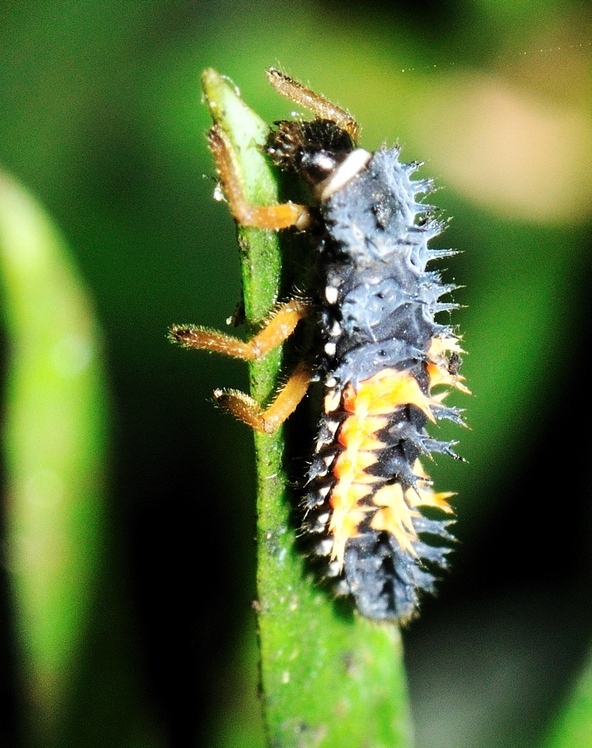 This entry was posted in Bug and tagged destroyer, ladybug, mealybug, Photography. Bookmark the permalink.